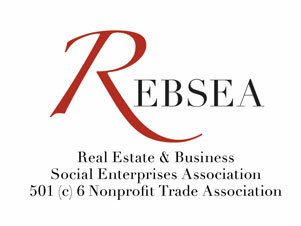 Real Estate and Business Social Enterprises Association (REBSEA) is a Non-Profit Trade Association comprised of members and companies that Give Back to the communities they serve by making donations to Charities and Non-Profit organizations. REBSEA members donate a part of their commission to nonprofit organizations in the communities they serve. Nonprofit organizations inform their supporters about the REBSEA program and after a closing the REBSEA member makes a donation to a nonprofit in their community. REBSEA includes hundreds of real estate agents, brokers, and mortgage lenders across the U.S. and Canada who understand that people prefer to do business with people and companies who Give Back to their community. The REBSEA program is a new and innovative way to work together as a community to solve social and environmental problems where we live and around the world. Together we can make a real difference. A press release conveys information that your organization wants to share with the public through the media. After the press release writing is done, follow these guidelines to submit a press release to the right media outlets. 1 Send your release to your local media outlets. 2 Target newspapers, online newspapers or other media outlets in geographic areas where you want to expand your business. 3 Submit your press release to key players in your field including noted bloggers and industry leaders. 4 Use a distribution service. If you don't have time to research outlets for your press releases, then work with someone who can help you. 1 Reread your press release and proof it for errors. Make sure that your headline and the first paragraph, in particular, communicate that your content is newsworthy. 2 Research and follow each outlet's submission guidelines. Generally, your contacts will prefer to receive news releases either by fax, mail or e-mail. Send your release the way that the publication wants it sent. Don't worry too much about finding out which exact individual you should send your release to if you don't have a lot of time. Get the person's title right, and that should be sufficient. 3 Determine the timing of your press release. Your release may need to coincide with an event or product launch. Otherwise, submit the release early in the week and early in the day. Choose an atypical time, such as 9:08 a.m. instead of 9:00 a.m. Doing this will keep your release from getting lost at the top of the hour. 4 Submit your press release according to the required guidelines. Type or paste your content directly into the body of an e-mailed press release. Many journalists delete e-mails with attachments because they take too much time to download and may contain viruses. Send your press release to 1 publication at a time or blind carbon copy (BCC) the recipients to make the news release submission seem more personal. Some outlets may prefer that you upload the press release directly to their website over a secure submission platform. 5 Add media such as photos and videos to your submission to increase your readership. Avoid sending media files over e-mail. Large files will clog an inbox and may end up in the junk mail folder. Send your contact person a link to your media through a service like Box or Dropbox. Alternatively, state that photos and videos are available upon request. 6 Follow up with a phone call. Ask if the recipient has received the release and offer assistance or further information as needed. Add a newsroom section to your website. Archive your press releases on your website. You'll look more legit and may also attract new customers. Follow the standard press release format carefully. News organizations are more likely to publicize press releases that are properly organized. Make sure that you include complete contact information on the bottom of your press release including your name, phone number, e-mail address, physical address and website URL. Make your press release easy to find online. Know the search terms that your customers use when they search for you on Google. Incorporate those search terms into your press release, particularly into the first 250 words. Before you sign up with a press release distribution service, do your research to make sure that they're reputable.